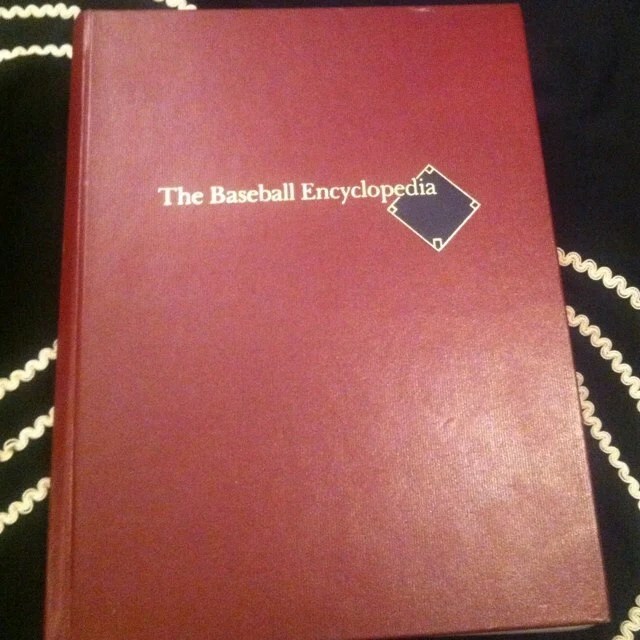 The Baseball Encyclopedia, The Complete and Official Record of Major League Baseball, eighth edition Macmillan Publishing Company, Collier Macmillan Publishers 1991. One, large, beautiful blue, gold lettering and a black diamond cover, sports reference book. Includes a brief baseball history, listings of Special Achievements such as MVP, Rookie of the Year, Cy Young Award and more, a section on All-Time Leaders for batting, fielding, pitching, and the official records of the major league teams and their players. This entry was posted in http://feedproxy.google.com/~r/JujubefunnyFinds/~3/5V921hXJv00/baseball-encyclopedia-official-record1376121204 and tagged IFTTT. Bookmark the permalink.